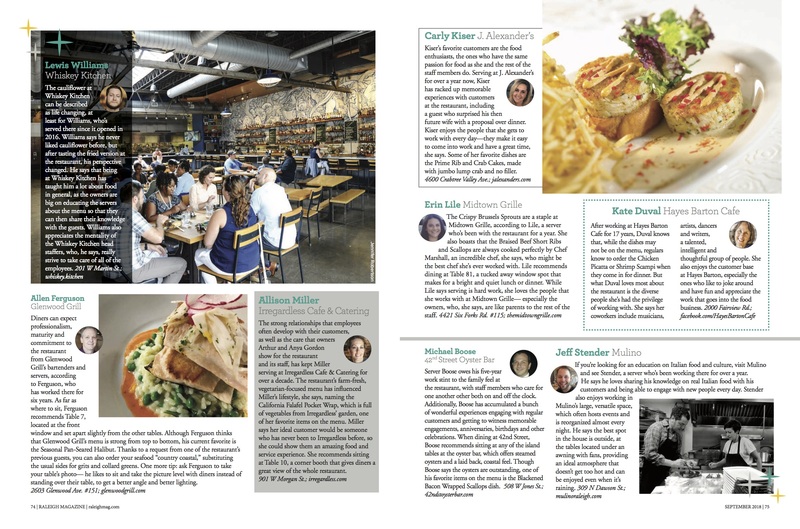 Raleigh’s informative and entertaining resource for everything from dining to drinks, art to entertainment, and a healthy dose of news and features is Raleigh Magazine and they just released their annual dining issue. 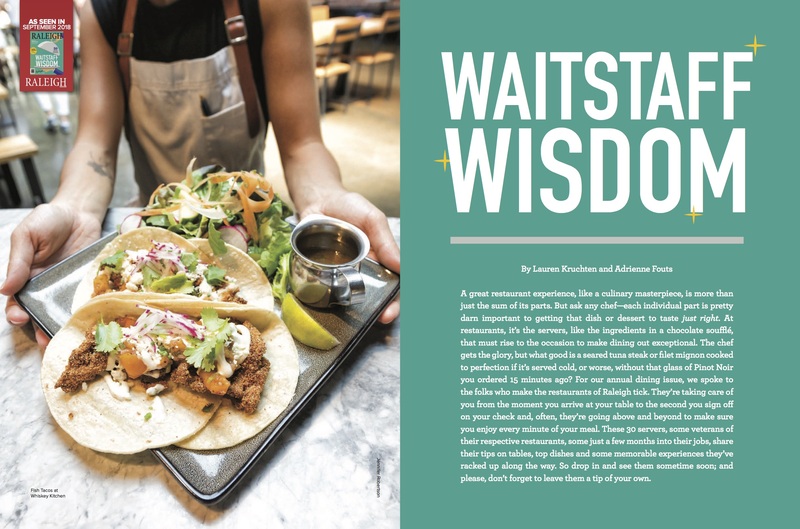 We are excited to be listed in the Waitstaff Wisdom feature of the issue. The author spoke to over 30 servers, some veterans of their respective restaurants, some just a few months into their jobs, and they shared their tips on tables, top dishes, and some memorable experiences they’ve had along the way. A restaurant cannot function without an amazing waitstaff and we feel that we have a team that is second to none at Mulino Italian Kitchen & Bar. Keep reading to see what our veteran server Jeff Stender had to say about his favorite part of the job, the best place to sit, and more. You can read the full article online at RaleighMag.com but be sure to pick up a copy of Raleigh Magazine today! As one of the fastest growing cities in the nation, Raleigh is transforming into a thriving metropolis and someone needs to keep up with what’s going on. That’s why Raleigh Magazine is an integral part of the Triangle community. They take the pulse of what’s going on, so you can stay informed about your city. They search for compelling content every month that translates into newsworthy stories that capture the ever-changing landscape of our city. Complimentary valet on Friday & Saturday nights. 5 p.m. until 10 p.m.
5 p.m. until 11 p.m.
5 p.m. until 9 p.m.